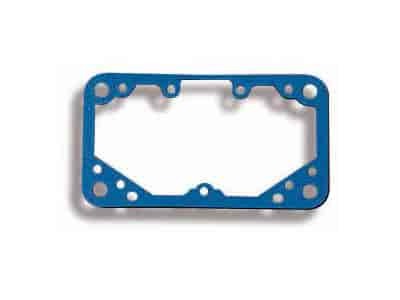 The Holley Non-Stick Metering Block and Fuel Bowl Gaskets are Genuine Holley replacement parts commonly used during carburetor tuning. There is nothing worse than a blown gasket. These Holley gaskets feature a Non-stick material that will not tear like paper gaskets and are alcohol compatible and reusable! The gaskets are sold 2/pkg. unless specified otherwise. 108-92-2 is rated 5.0 out of 5 by 1. Rated 5 out of 5 by Serious Bracket Racer from Holley Parts I Liked how fast I got the parts, Thanks Jegs. Will buy more.